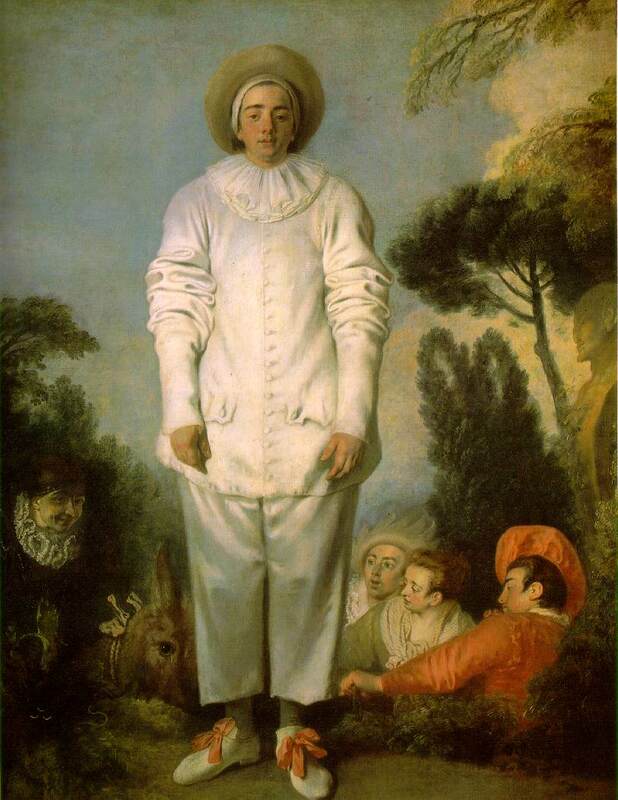 One of the few things we can be sure about, in this famous but enigmatic work, is the fact that Gilles is a Pierrot. 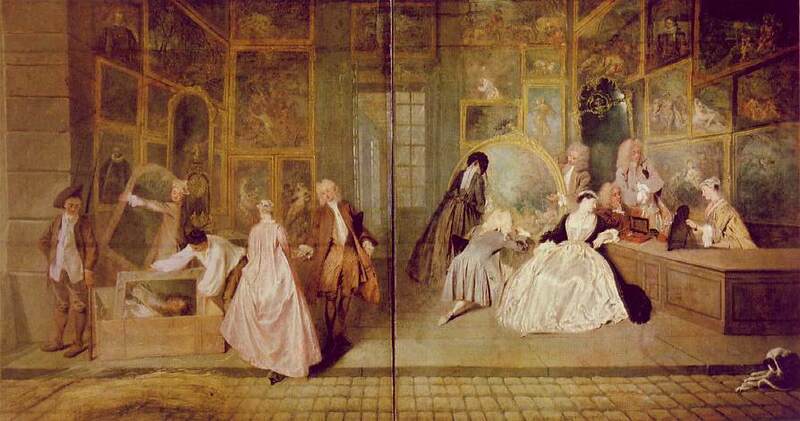 Watteau may have painted it as a sign for the café run by the former actor, Belloni, who made his name as a Pierrot. 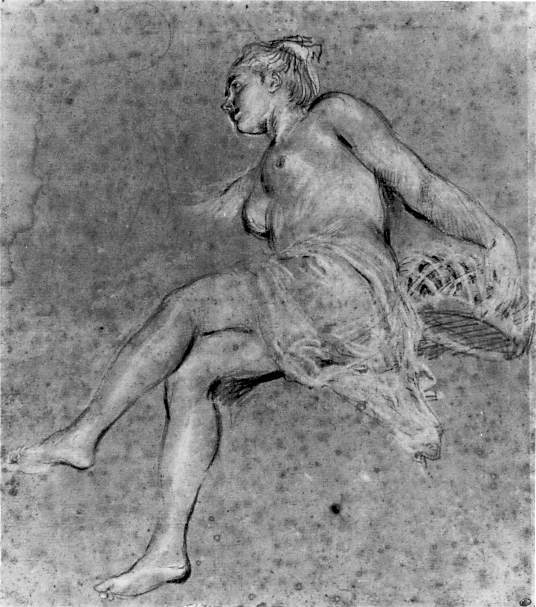 The model, a friend or another actor, is unknown. 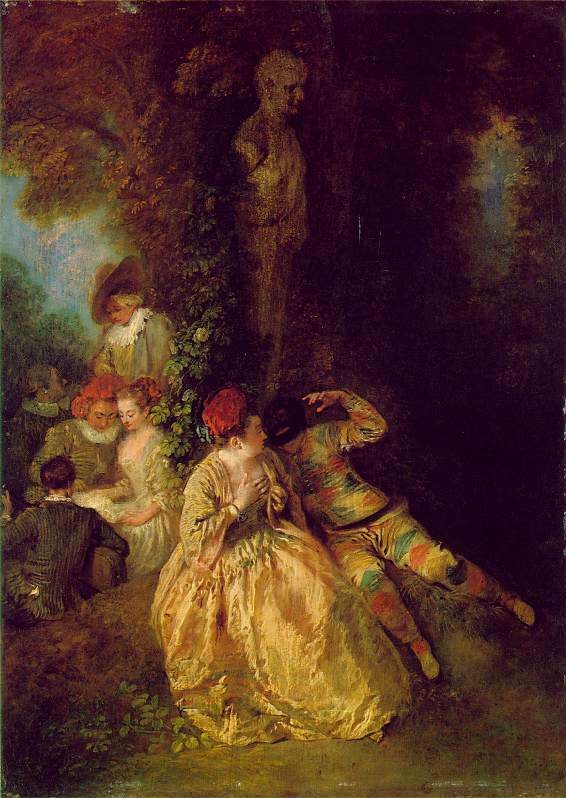 Standing with his arms dangling at his sides, with a dreamy, naive look on his face, the moonstruck Pierrot stands out monumentally and idiosyncratically against a leafy Italianate background. 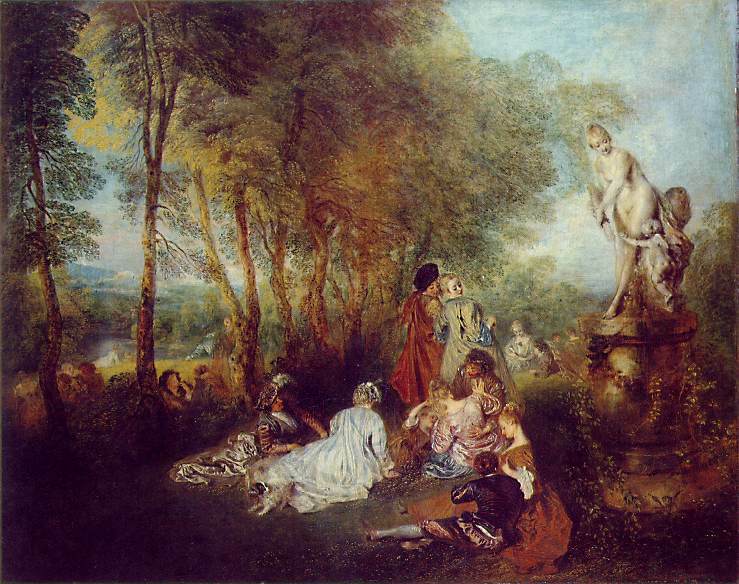 At the foot of the mound, reminiscent of a fairground stage, four half-hidden figures--the Doctor on his donkey, Léandre, Isabelle and the Capitaine--contribute to the singularity of the composition and the poetic drama. 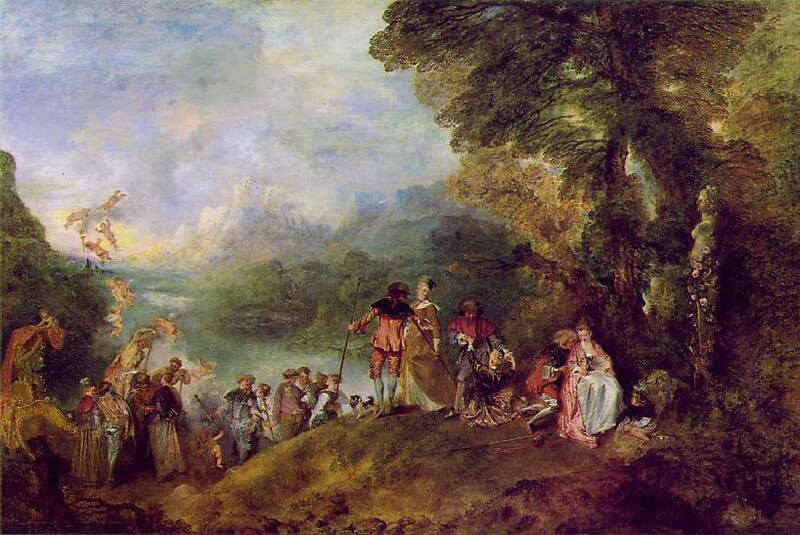 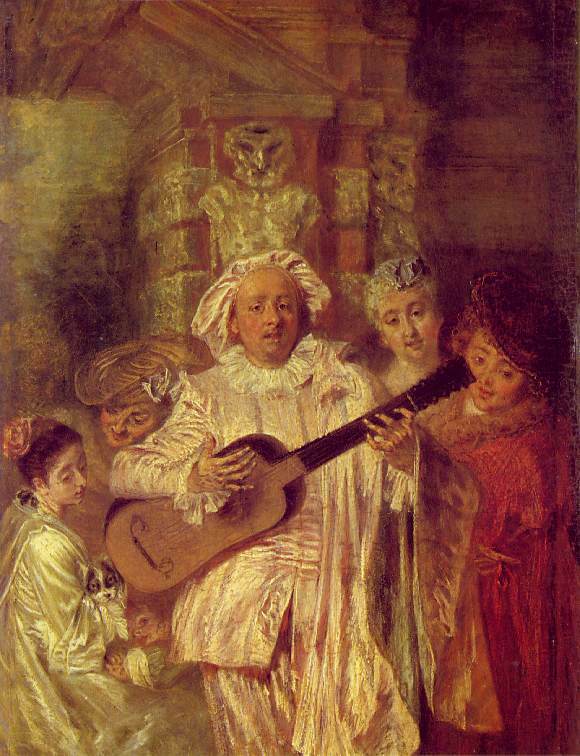 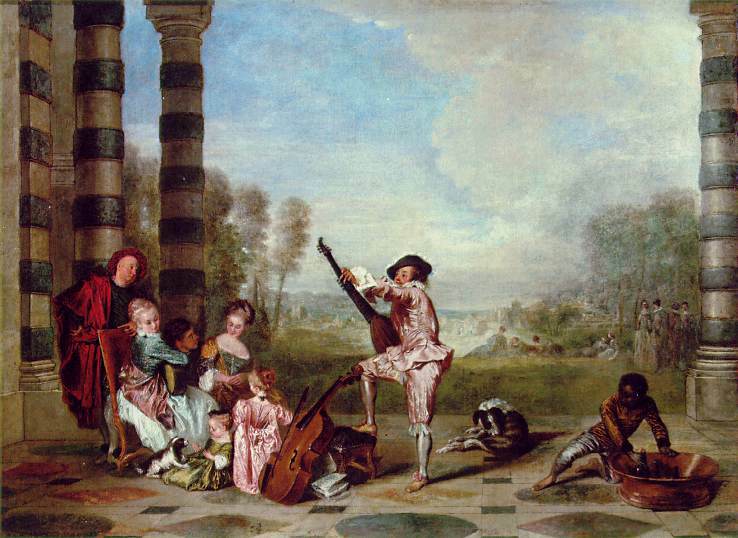 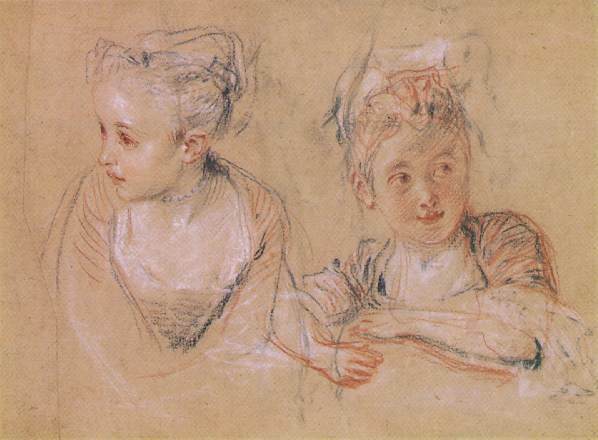 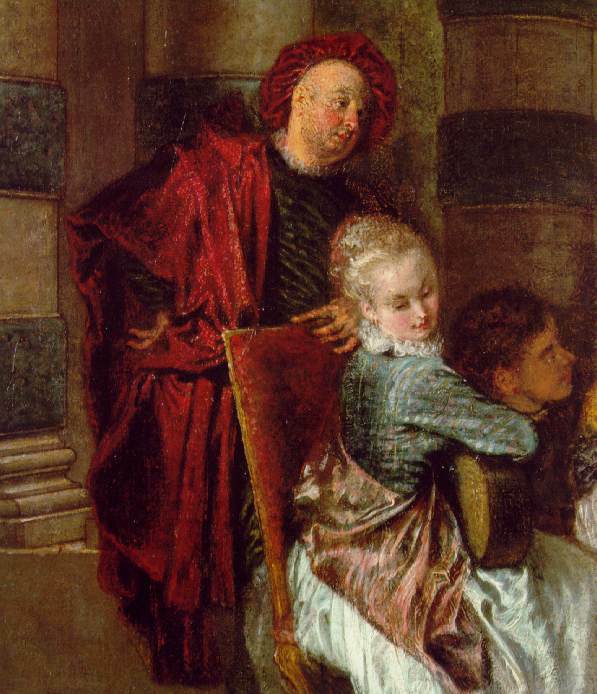 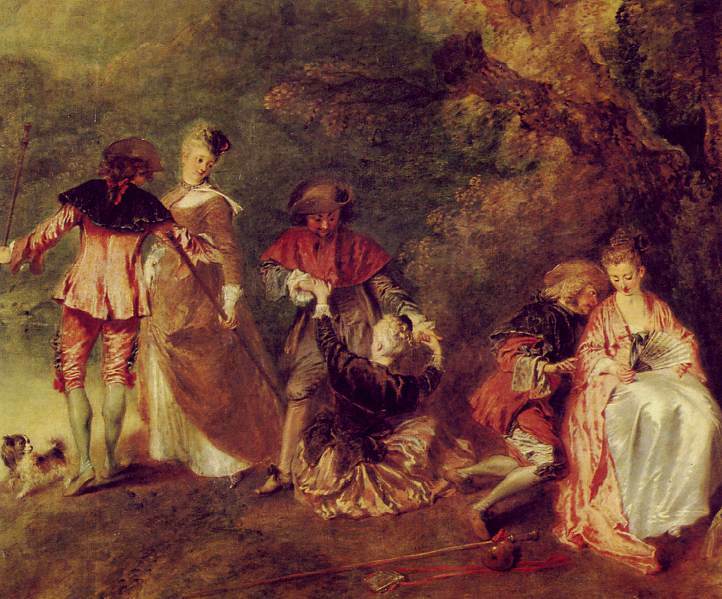 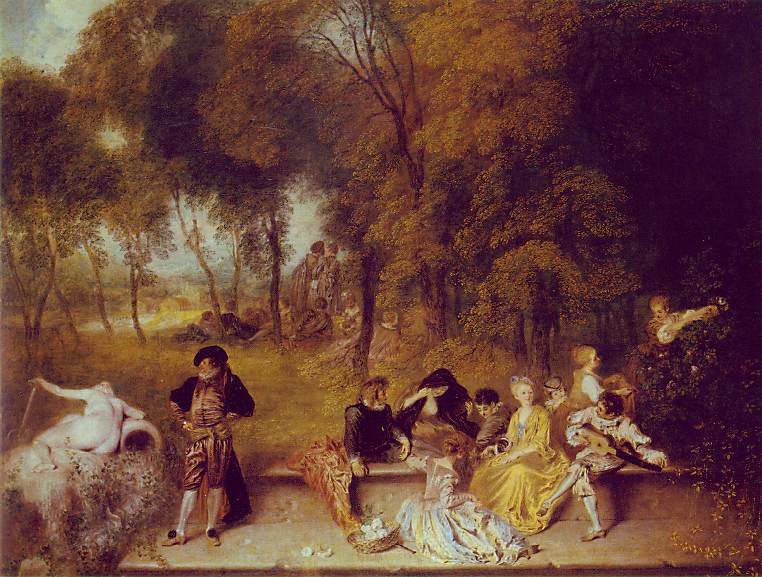 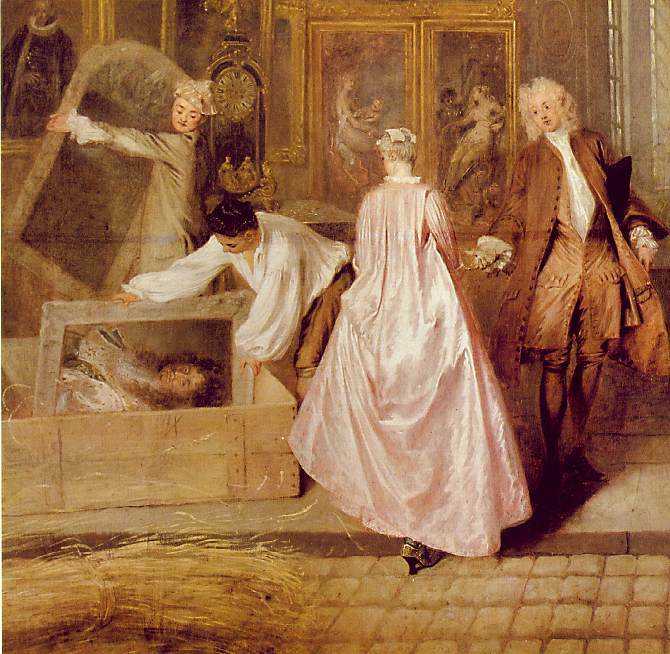 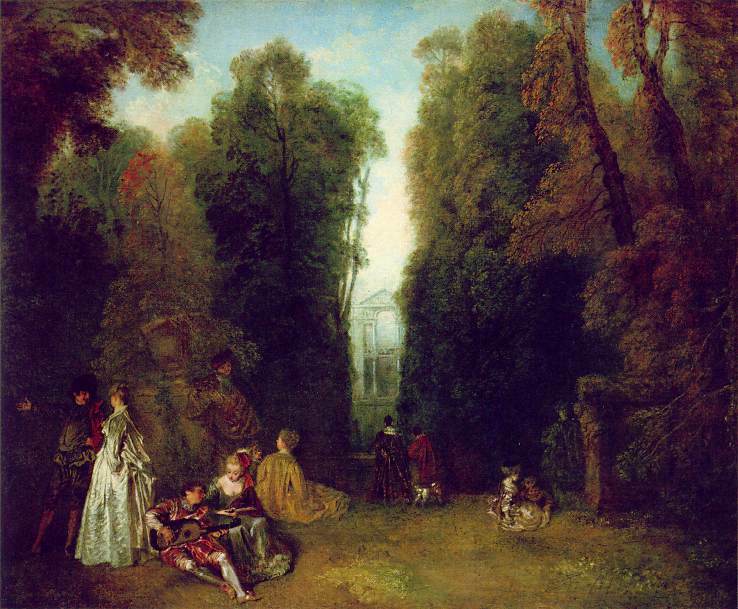 Genre painting came back into favour when the Academy admitted Watteau to its ranks in 1717 on the presentation of this work, the subject of which was so novel that the term "fête galante" was coined to describe it. 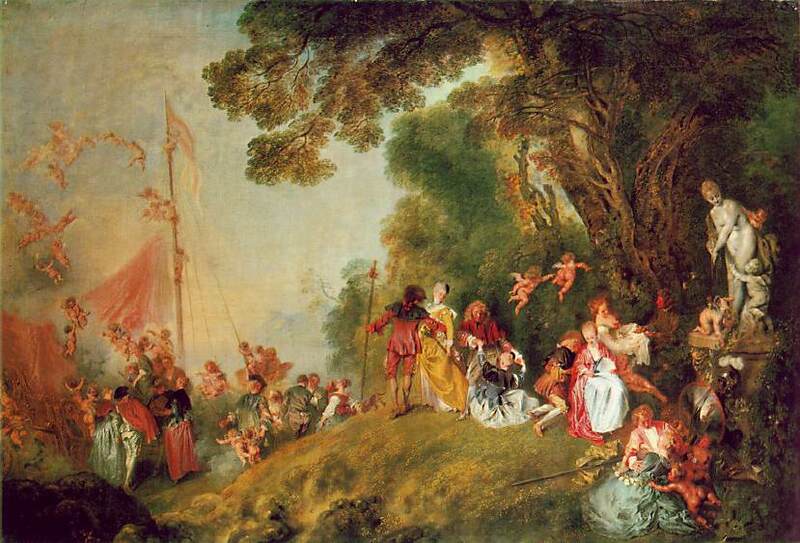 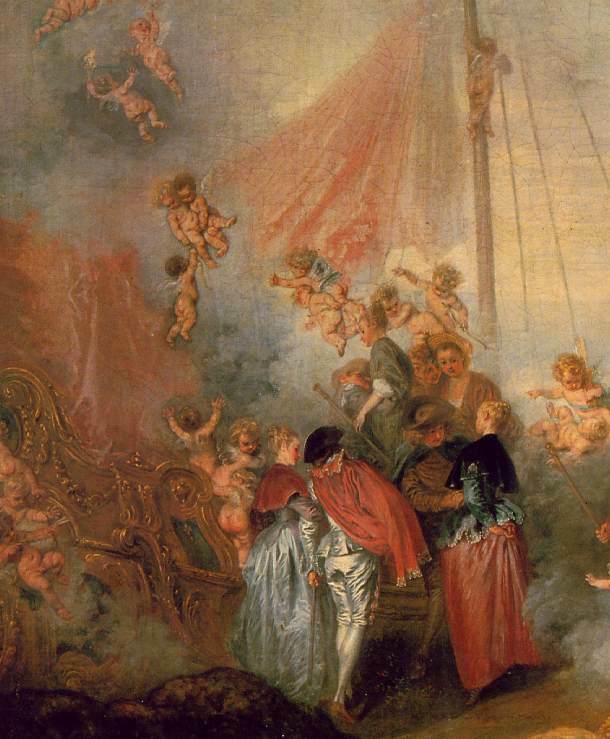 Drawing its inspiration from the theatre, the picture shows lovers in party dress--some wearing the pilgrim's hooded cape--coming to seek love on the island of Cythera, under the statue of its goddess, Venus. 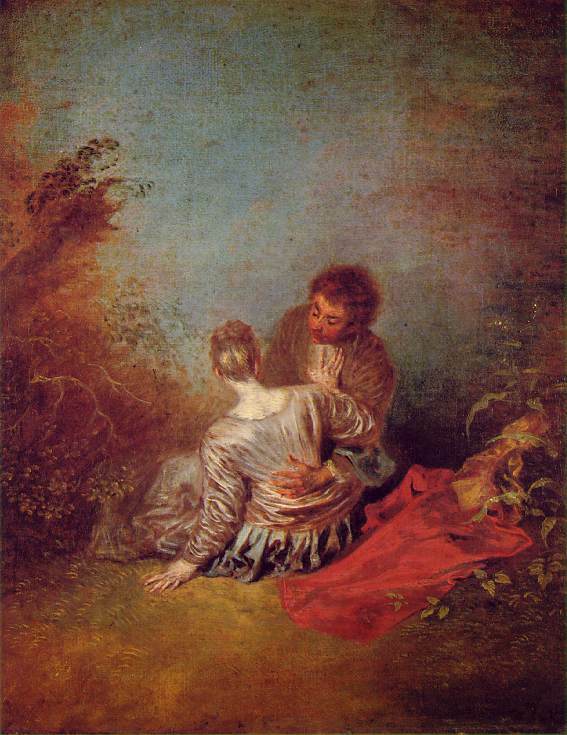 In an iridescent landscape which owes much to Venetian painting, allegory is caught up in the swirl of couples in a reverie; a new and less didactic interpretation of Titian's elegiac mode.